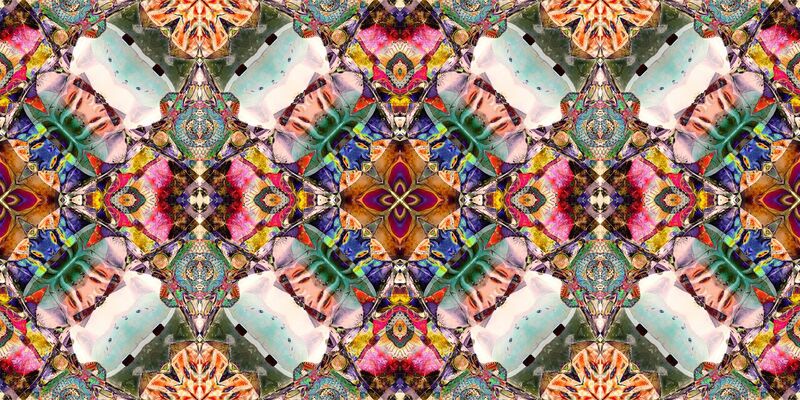 Check out some contemporary Buddhist art, featuring modern mandalas at this new exhibition. 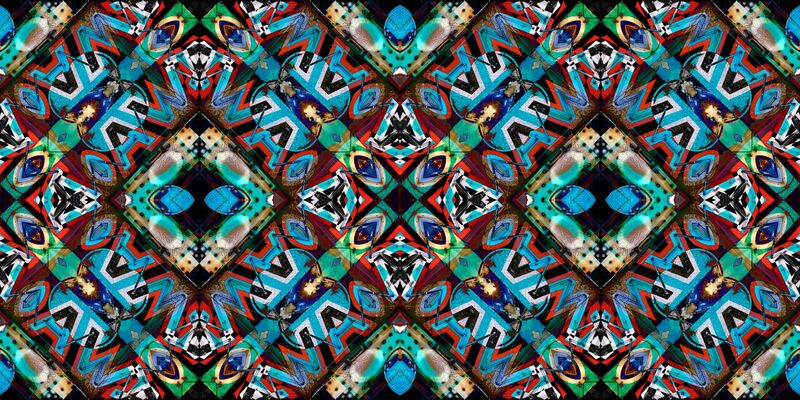 Los Angeles artist James Stanford presents Shimmering Zen, an extraordinary new exhibition of Contemporary Buddhist art, featuring modern mandalas. Using historic Las Vegas neon signage and architectural elements from the 1950s and 1960s, shot in the Mojave Desert, Stanford artfully creates digital montages, mesmerizing designs using unique newly developed purpose specific technology. 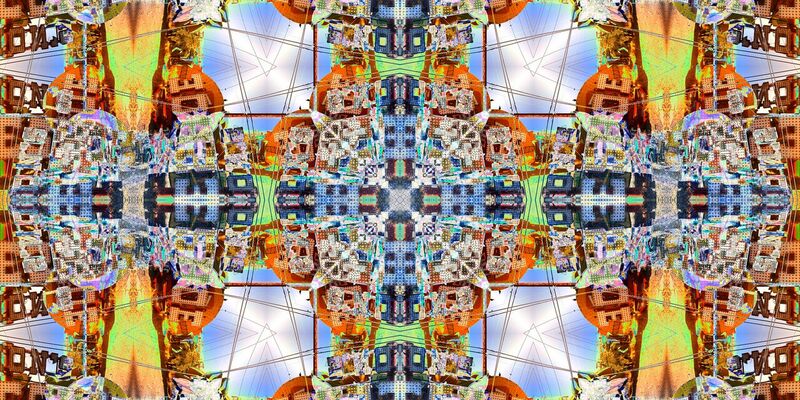 Stanford’s group of intriguing digital reconfigurations convey and respond to the potency of the mandala as a symbol, and its influence and importance to Asian culture worldwide. As a leading maker of contemporary mandalas, Stanford’s work is an interpretation of the ancient traditions of Buddhism, drawing from historic metaphor, Chinese fable, and the aesthetics of the Tibetan Mandala. Born and raised in Nevada, Stanford grew up in a household of educators. As a young man, after a transformative and spiritual moment at the Prado Museum in Madrid opened his mind to a higher consciousness, this new spirituality became firmly entwined with his creativity. With the advent of Apple software, the tools of technology merged with his ambitious thirst for spiritual growth and education. This led to Stanford’s personal commitment to Zen Buddhism and cemented his unique creative identity. In Stanford’s conceptually complex and visually sumptuous work, the mandala offers contemplation for both spiritual and material realities. Using a mix of traditional photographic and digital techniques, Stanford’s works are made unique and compelling by vividly illuminated moving networks and layers. The exhibition will be complemented by the official launch of Stanford’s upcoming book of the same name, Shimmering Zen. The book is a compilation of 150 of Stanford’s works created over the last 15 years and published in a large format hardback. The book is published by Ianthe Press Limited It includes essays by the artist and the curator, and a foreword by Jeff Rosen, Vice President, The Higher Learning Commission, Evanston, Illinois. James Stanford studied painting at the University of Washington (UW) (MFA) and the University of Nevada Las Vegas (UNLV) (BFA) and also practices photography, digital illustration and drawing. 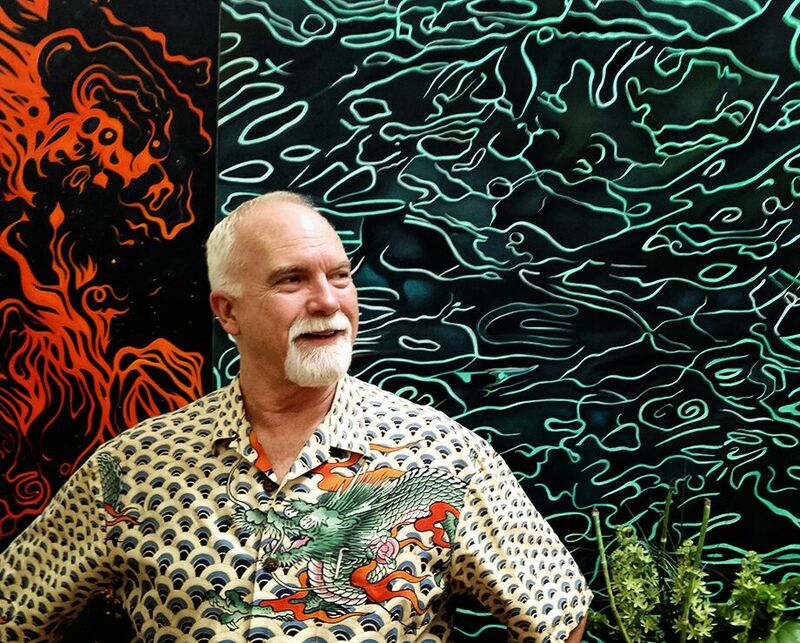 Dedicated to creativity and the fine arts, he has taught at UNLV and UW, established the Smallworks Gallery, and curated exhibitions at various venues, including the Las Vegas Contemporary Arts Centre. He currently lives and works in Las Vegas. This entry was posted in NEWS and tagged Contemporary Buddhist art, James Stanford. Bookmark the permalink.